Fifty Shades of Spray is an independent zine and brand, which focuses on the use of individual colours in graffiti and illustration. Launching in March 2015 with the 'Blue' issue, Fifty Shades Of Spray quickly followed it up with the 'High Grade Green' issue at the end of June. This second issue has also been accompanied by a limited edition T-shirt designed by Ermsy. 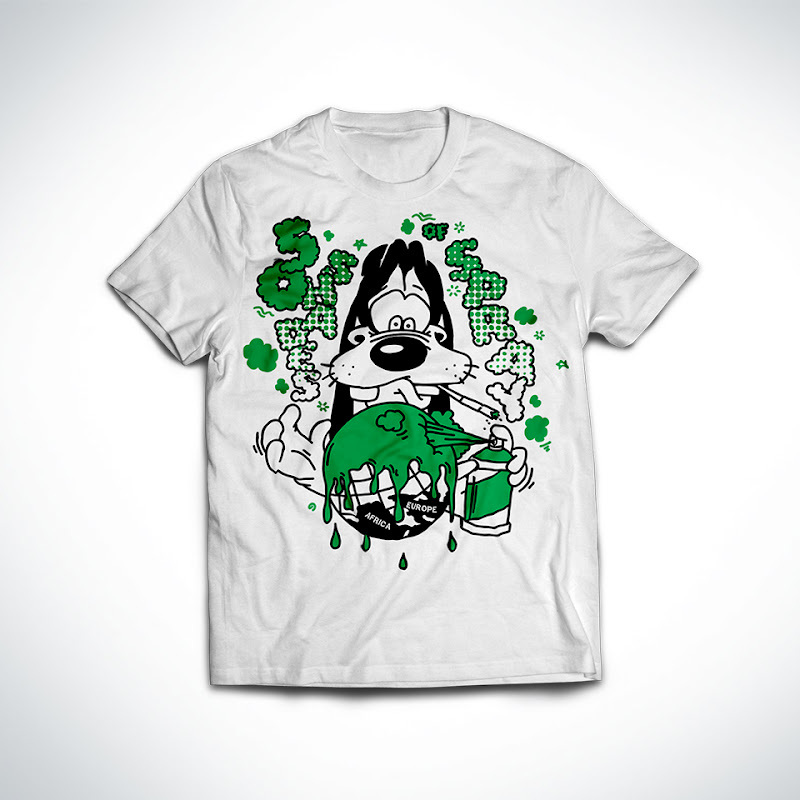 The tee features a stoned out Goofy spraying the globe a suitably bilious green. The screen printed, 100% cotton T-shirt is available in small, medium, large and extra large in very limited quantities via the Fifty Shades Of Spray online store, priced £25.00!